The Irish Gift House asks, did you know that Halloween and many of its traditions can be traced back to Ireland? 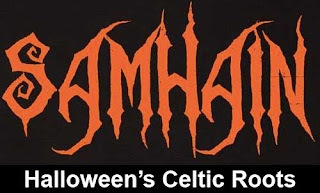 Samhain, pronounced Sah-ween, is a Celtic festival marking the end of the harvest season and the beginning of winter. Samhain straddles the time between autumn and winter that coincided with the periods of abundance and shortage. On the verge of the darker half of the year, Samhain marked the last opportunity for fun, but it was also a time of enhanced superstition. The festival starts in the evening of October 31st and continued through November 1st, Samhain indicated three critical dates in the Celtic calendar: the end of the year, the beginning of the year and the start of winter. The date is roughly between the fall equinox and the winter solstice and Samhain is one of the four Celtic seasonal celebrations, the other three being Imbolc on February 1st, Beltane on May 1st and Lughnasadh on August 1st. These important dates were traditional observed in Ireland, Scotland, the Isle of Man, and also in parts of Brittany, Cornwall and Wales. Many important actions in ancient Irish tradition happen or begin on Samhain. It was the time of the year when livestock were brought down from the summer pastures and when animals were slaughtered and stored for the long cold winter. Because Samhain was consider a threshold time the souls of the dead could more easily travel between worlds and invariably they would return to their former homes where they were welcome. Meals were prepared and the souls of dead love ones were gestured to attend with a place setting left for them at the table. A traditional Samhain dish that continues to be served today is colcannon with charms hidden in the potato and cabbage dish. The charms that were found in the colcannon were seen as a indication for the future. For example, a button meant you would remain a bachelor, and a thimble meant you would remain a spinster for the coming year; while a ring meant you would be soon married, and a coin meant you would come into wealth. Take a look at our New Taste of Ireland cookbook and the simple colcannon recipe. The ancient Celts would light large bonfires to aid the dead on their way. The bonfires were also lit as protection from the potentially evil spirits and fairies that were also able to move more freely between this world and the otherworld during Samhain. Additional rituals related to bonfires included throwing a clipping of your hair into the raging fire and then later while sleeping you would dream of you future love. Another practice involved ushering the cattle between the fires as a cleansing ceremony after the bones of the previously butchered stock had been thrown into the bonfire. This fire of bones eventually evolved into our vernacular as bonfire. Bobbing for apples is another ritual that originated with the fall festival; the implication was the first single person to effectively bite and grab an apple would be the next person to marry. The consequence may be unknown to today's participants, but bobbing for apples is offered at many Halloween parties. 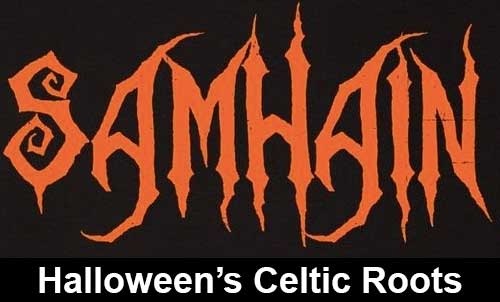 The earliest Halloween costumes, in the form of hollowed out animal heads, can also be connected to Samhain. The rational was these scary costumes would protect the human by scaring away the evil spirits that had entered from the otherworld. Many would leave gifts of food outside their doors in an effort to keep these evil spirits from entering their homes believing that the offerings would be appeasing. These two combined rituals are partially what evolved into today's trick or treat. In an effort to remove many of the pagan rituals from Samhain the Catholic Church in the 9th century changed the date of All Saints' Day to November 1st and added November 2nd as All Soul's Day. Eventually these three days formed what we know as the modern Halloween, but it wasn't until large numbers of Irish immigrated to the United States in the 1800's that these traditions took hold in this country. Have a safe Celtic inspired Halloween and please remember that from Irish gifts to Celtic jewelry The Irish Gift House is your one stop Irish shop.